Welcome to the 200th issue of SCUBA News! Thank you very much for being a subscriber, whether you've been with us for years or have just joined us this month. We sent our first newsletter in the year 2000. It was before any social media, before Wikipedia. To celebrate our 200th issue, we're offering a small gift to our newest and longest subscribers. If you recognise the following as part of your email, get in touch. I hope you continue to find the newsletter useful - as from the beginning we welcome your letters, articles, photos and other contributions. You can download a pdf version of the newsletter here. Great place to see sharks - a fifth of the world's species are here. Plus the coral reefs, sea grass beds and mangroves in Cuba are amongst the most intact marine ecosystems in the region. Thinking about some Mediterranean diving - take a look at Croatia. She has 66 inhabited islands and much of the best diving is off these. Djibouti is in Africa, at the bottom of the Red Sea. I spent a week there waiting for a liveaboard once. The coral is in excellent condition but the highlight is the whale sharks. 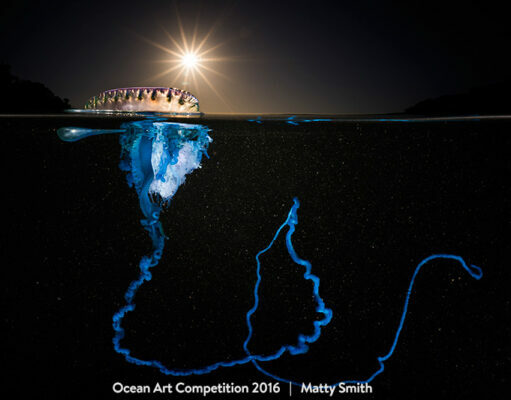 Matty Smith has won Ocean Art’s best-in-show 2016 for his dazzling Pacific Man of War image titled Blue Lasso. 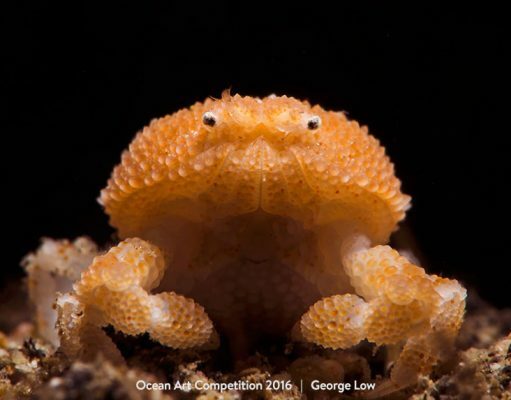 Revealing some of the most awe-inspiring photos captured underwater around the world, the annual competition attracts entries from both professional and amateur photographers. There were 16 categories in which photographers could enter. 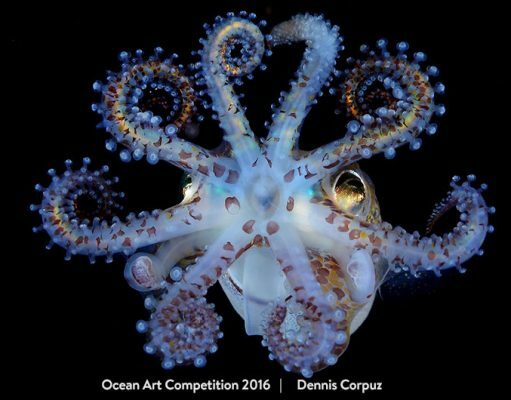 The winner of the macro category was Dennis Corpuz with his Amazing Squid capture taken in Anilao in the Philippines. Divers will appreciate how difficult it is to take this photo of a fan worm – which shoots back into its tube at the slightest movement. 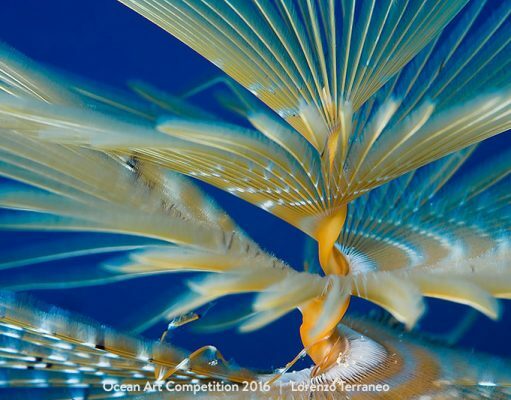 This shot by Lorenzo Terraneo was a runner-up in the macro category. To qualify as a macro photo the subject in the photo should be lifesize or greater. Macro subjects are generally 6 inches across or smaller and shot with a lens focal length greater than 35mm. 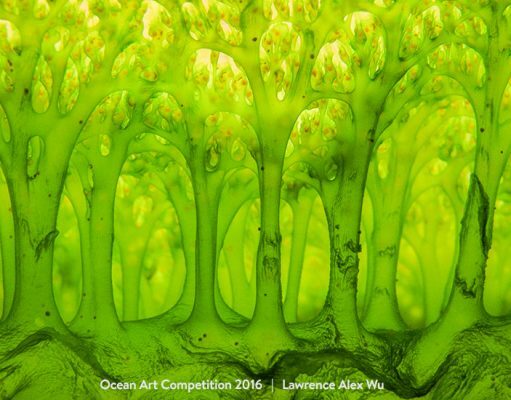 Although the competition is titled Ocean Art, it isn’t just marine photos that can be entered. Fresh water underwater photos are also eligible. The winner in this year’s Cold Water category was this magnificent shot of a pike in a Swedish lake. The photographer, Tobias Dahlin took the photo in Skallinge lake, in Sweden. Pike are normally quite shy so Dahlin had to be extremely patient, waiting until one came close. He took the shot without flash to avoid scaring the fish. This beautiful shot won first place in the Reefscape category. 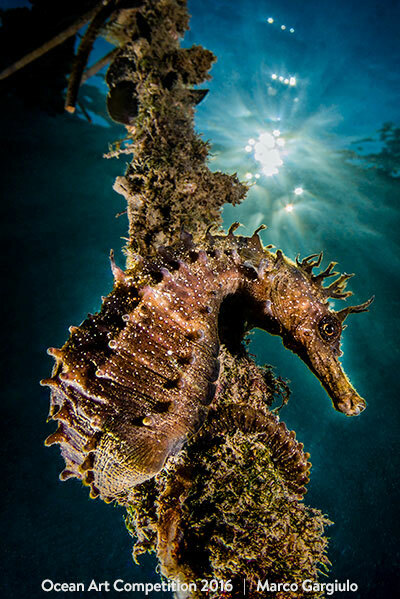 It was taken by Jeong Sang Keun in Lembeh, Indonesia. The camera was set for a macro wide shot, which gave the unusual composition. For those photographers wanting even smaller than macro, there is supermacro. This is when the subject in the photo is larger than life. Such as in this capture of a Pearl Granular Crab. This tiny creature measures not more than 7 mm. His portrait was taken by George Low, again in Anilao, Philippines. 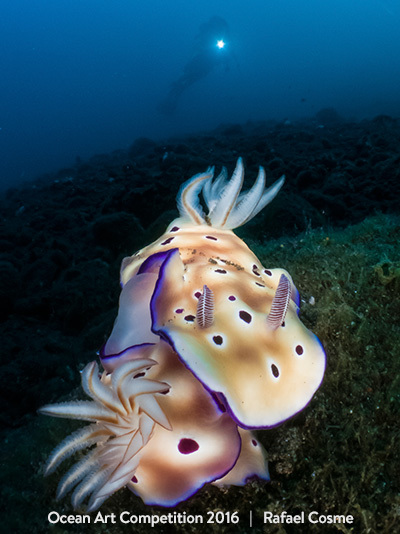 Yes, one family of animals has its very own category: the Nudibranch. These most photogenic of creatures attracted many entries, but the winner was Rafael Cosme. Is the question that immediately springs to mind on viewing this unusual aspect of a Common Sea Squirt by Lawrence Alex Wu. Taken with a point-and-shoot compact camera, this 2cm forest-like structure was shot in, yet again, Anilao, Philippines. 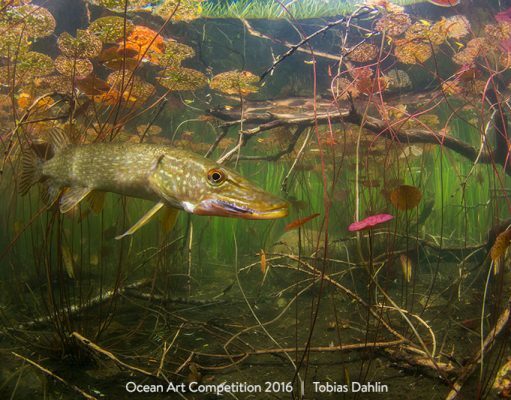 Where is the best place to take a winning Underwater Photograph? Some locations cropped up several times in the winners. 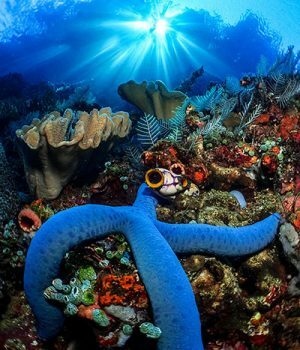 Lembeh strait (Indonesia) had three photos featured but the most popular place was, as you might have guessed from reading the above, Anilao in the Philippines with 8 winners, runners up and honourable mentions. You can see all the winning photos at the Underwater Photography Guide site. The judges were Martin Edge, Tony Wu, Marty Snyderman and Scott Gietler. 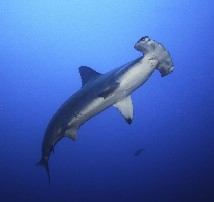 It's commonly said that sharks, especially great white sharks, mistake surfers for seals when looking at them from below and thus bite them by mistake. New research concludes that they are just curious. It's a slasher film scenario playing out in nature. Harbour seals use their whiskers to follow underwater vibrations rippling away from gills of fish so they can home in on prey. Wave-powered drones are being used to provide live tracking of the world's largest fish, the whale shark, for the first time. An analysis of fossilized parrotfish teeth and sea urchin spines by researchers at Scripps Institution of Oceanography at the University of California San Diego showed that when there are more algae-eating fish on a reef, it grows faster. National tribunal prohibits use of cutlery, bags and other plastic items amid concern over pollution of the sea and air. Can we engineer our way towards cleaner oceans?